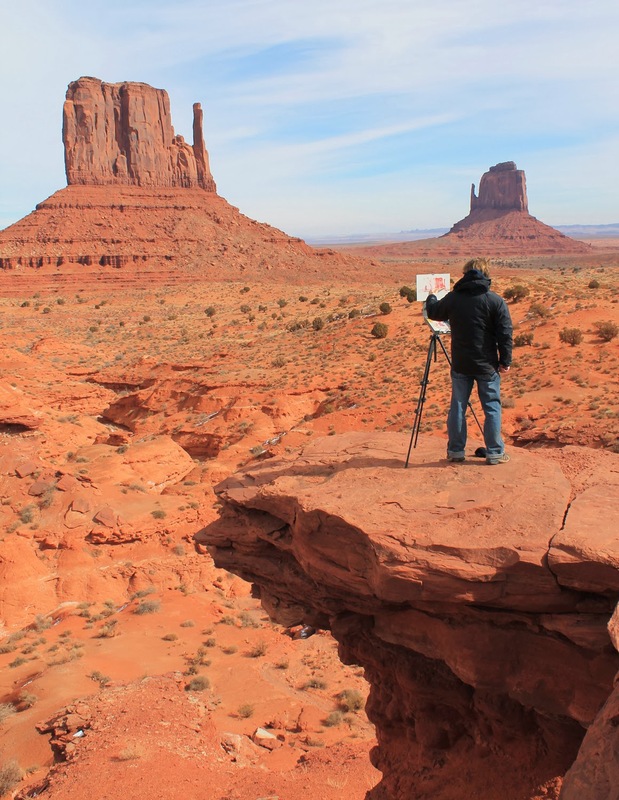 Bryan Mark Taylor spent the first few weeks of February painting Monument Valley. A collection of vast sandstone buttes, Monument Valley is located on the Arizona - Utah state line near the Four Corners (Arizona, Utah, Colorado and New Mexico). The valley lies within the Navajo Nation Reservation and in Navajo translates to valley of the rocks. 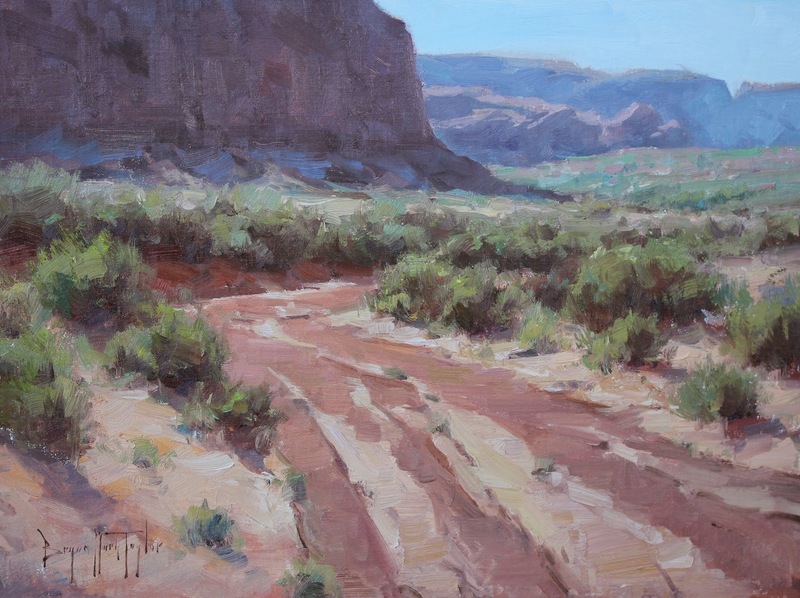 Bryan is an accomplished landscape painter and feels time spent outdoors observing and pondering nature has become an essential part of his creative process. Bryan Mark Taylor will be teaching a 4 day workshop is Scottsdale on March 12-15, 2014. 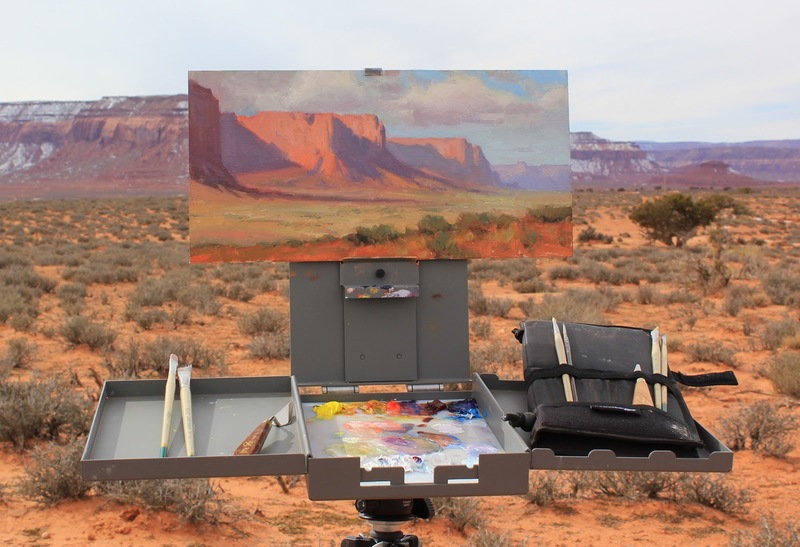 His workshop, Selecting the Essentials en Plein Air, is for painters of all levels who want to develop a sound understanding of the fundamentals of outdoor painting. 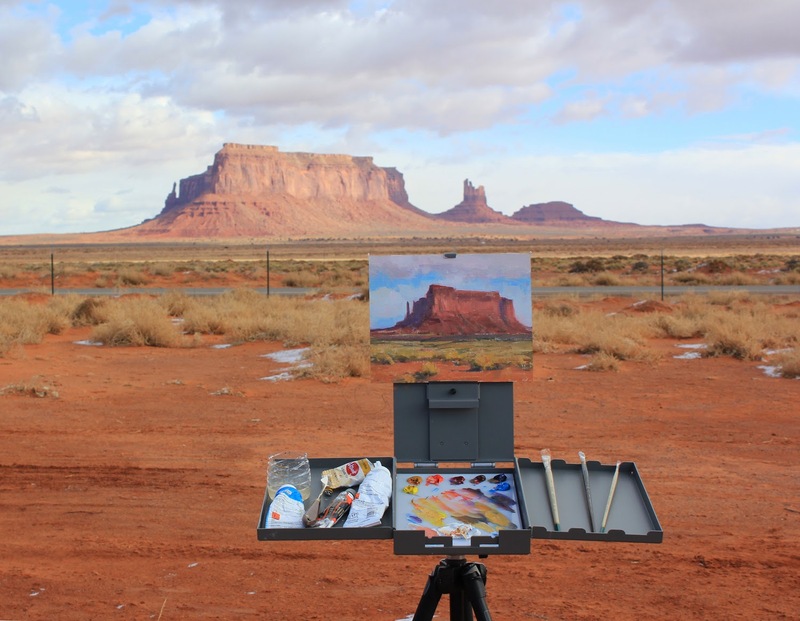 Register for this exciting Oil/Acrylic workshop today!